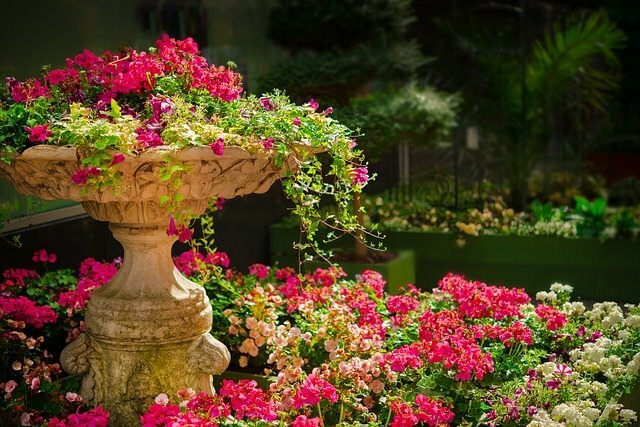 If you’ve just moved onto a new property – or if you’re ready to give your backyard a well-deserved makeover – you’re in for some fun creating a landscape design. But it can be hard to know where to begin. 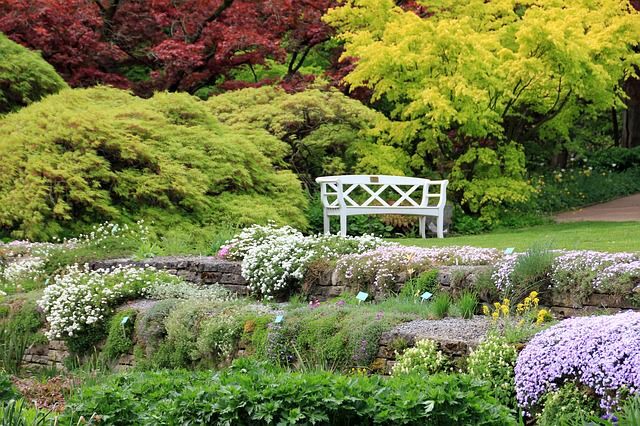 What are the crucial aspects you need to think about and incorporate into your garden design? If you get this right, you’re almost guaranteed to have an impressive backyard. Colour arguably plays the most important role in your backyard aesthetic. It can add dimension to your backyard, create optical illusions with the space, and even affect your mood. You’ll want the colours in your plants and décor to complement your home colour scheme, but don’t neglect your own personal taste and preferences. Reds, oranges and yellows are considered warm colours, not just because they remind us of the summer sun, but because they evoke passion and excitement. Warm coloured plants are great for visual points of interest, since warm colours make objects appear closer than they really are. But because they’re so bright, you need to arrange your blooms carefully. You should lead up to the boldest colours, using softer shades to ease you into the strongest hues. 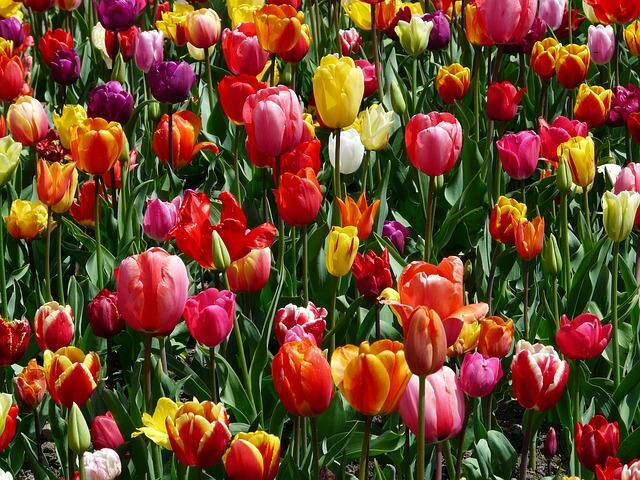 Begin your flower and shrub cluster with pale yellow blossoms, moving up to bright oranges and reds bit by bit. Cooler colours such as blues, violets and greens are natural relaxants, making them great for meditation gardens. Cool coloured plants and décor seem to move away from you, receding into the background. This effect makes objects seem further away from you, making them perfect for smaller backyards. You wouldn’t think lines matter in a landscape, but in fact they can really influence how you experience your garden. 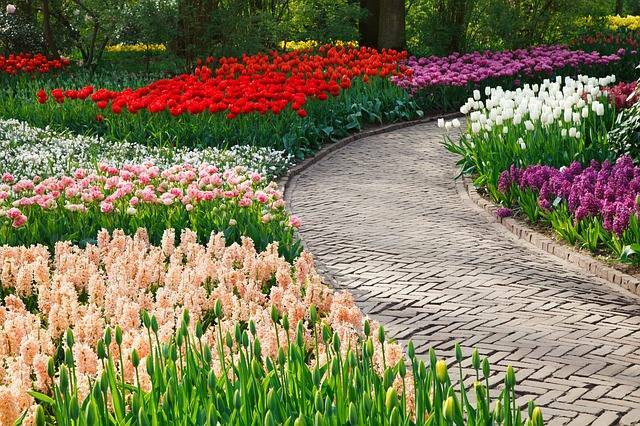 Lines, such as those used for garden beds and paths, help draw attention to focal points and contribute to the continuity of your landscape. Straight lines, such as those typically used for hedges or a verandah, form the backbone of your garden. But they can be quite forceful. They suggest quick, direct movement, so use them when you want to draw your guests’ attention to a centrepiece in your garden. Curves encourage visitors to meander through the landscape, taking their time. Their gentle, flowing effect promotes relaxed movement and reflection. A curvy path to a pergola, for example, is a great way of making sure you and your guests arrive at your destination with a mind at ease. Form refers to the shapes of things in your garden, from the tall trees and pergola to the widespread ground cover. A careful selection of different forms in your landscape will create natural patterns that will in turn contribute to the overall look and feel of your garden. 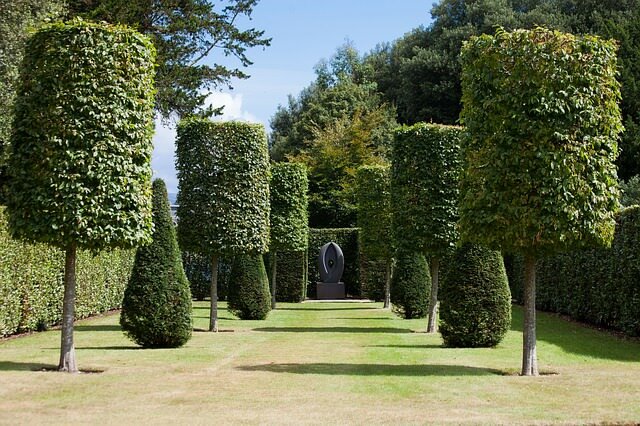 Horizontal and spreading forms, such as hedges placed closed together, are popular because they draw the eye to the horizon. And who doesn’t love the limitless possibilities a horizon suggests? Most plants, particularly shrubs, are rounded. They’re easy to look at and great for creating masses of plant groupings. Weeping forms lead the eye down to the ground, but their unique shape and soft lines make a good focal point in a backyard (just think of the weeping cherry tree). Tall, pyramidal shapes, such as trees, send the eyes skyward, so they’re best used when they’re grouped with more ground-level plants. After all, nobody likes to feel hemmed in. Texture is about the look and feel of your plants and décor surfaces. It applies not just to flowers and leaves but to bricks, stones and bark. Unlike colours, different textures create harmony in your landscape. You can balance out coarse textured plants with smooth textured ones or mix plants with larger leaves and smaller leaves. This breaks up your landscape, adding interest and mood to your backyard. All the above elements have an impact on scale – or how your garden plants and décor relate to one another according to size. If you want to have a harmonious impact in your garden, keep proportions in mind when you begin landscaping. For example, you don’t want a towering statue in a small cottage garden. Nor would you like a tiny water fountain beside a huge pergola. To make sure your garden is well proportioned, consider the length, breadth and depth or your space. And don’t forget your plants will grow! Check their maximum height and width before you put them in the ground.